"Emmit and team arrived on time and were professional. Got..."
Adding waterproof drain tile in this basement. Homeowners from Eden Prairie, MN called Innovative Basement Systems when their crawlspace had moisture issues and occasional flooding. Service Tech, Matthew Stromgren, and his crew came out to the house and began work right away. To start the project the crew began with spray foam that will reduce the heat loss and infiltration of cold air by sealing and insulating the area. A SuperSump sump pump was installed along with CleanSpace, drainage matting, TerraBlock, SilverGlo, and SaniDry dehumidifier. Homeowner from Eden Prairie, MN, contacted TEAM Innovative to explore options for his bowing walls and damp basement. System design specialist, Nate Wendorf, visited the homeowners and inspected their basement. Recommendations were made for PowerBraces along with CleanSpace vapor barrier. The homeowner was impressed with the plan and signed off on the estimate and contract. Another foundation stabilized in Eden Prairie, MN! Call 877-365-0097 for your free estimate today! Basement/lower level foundation wall has a crack visible on the inside of the house. There is a gap between house and front stoop in the same vicinity. Water leaks into the lower level and basement during heavy rains. I live in am end unit townhome. This isn't the first time I've had water, the association hasn't done anything even though I believe outside grading is part of the problem. Hoping there is something i can do. We have a pitted and cracked garage floor that we'd like resurfaced to smooth concrete. If you offer polyurea surfacing we'd be interested in an estimate for that as well. Garage floor cracked and sinking. Our church has several sidewalk section that are below the curbing, and one section of sidewalk is cracked. Seeking free estimates for repairs. We'd like to get estimates on the following: 1. Concrete foundation repair outside next to the garage. 2. Concrete filler to raise the front steps that have sunk due to settling. Our sidewalk in front of our house has sunk towards the house so that rain goes towards the house and we need to have it so that the rain goes away from the house. It also lowered it so that the stoop is too high to step up. I was very happy with Dan Supan. He showed up on time, forgave the appearance of my cluttered, cobwebby basement, did a lot of measuring and thoroughly explained his proposed solution. He was very personable, and we talked a bit about our Air Force experiences, including the C-130s on which he worked and in which I traveled many an hour in my 16 post-active-duty years in the Minnesota Air Guard. That the work could be completed in one day also influenced me strongly. The only downsides are having to empty half the room where the work is to be done and after completion having to hire a handyman to cut down a workbench that won't fit back into its original space. Prompt, friendly workers, job done quickly and neatly. Excellent customer relations from sales to installation. We not only adhere to the highest industry standards, we strive to be the industry leader in the home improvement related services we provide. We also use state-of-the-art products and technology which are designed to fix your home. We are the authorized Basement Systems dealer in Eden Prairie, MN. Don't settle for uneven concrete floors, sidewalks, or patios. With the PolyLevel Concrete Lifting System, we can restore your concrete to its intended height. The PolyLevel gets injected underneath the concrete, lifting it the appropriate height so that it can become even with the rest of the concrete around it. Even if you're unsure about refinishing your basement, by installing our waterproof walls and floors, you are protecting your basement from damage from water, humidity, and mold. Our EverLast wall panels are 197% stronger than drywall and are designed to be beautiful upon installation - no painting required! Whether you're looking to make your basement a comfortable living space or just to give it a neater, cleaner look, Innovative Basement Systems has the products for you! If you've noticed a musty smell, pests or mold in your crawl space, then it's time to get it checked by a professional like the folks at Innovative Basement Systems. 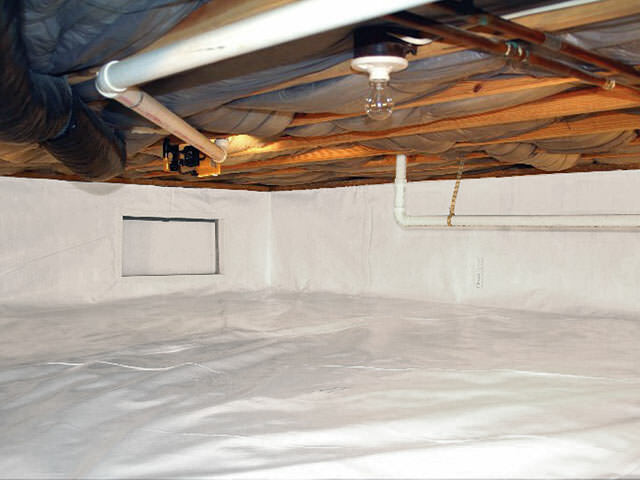 We can install vapor barriers, thermal insulation, dehumidifiers, and more to turn your dirty, unsafe crawl space into a clean, healthy, energy-efficient part of your home. When you have water in your basement, trust your home to the uniquely designed TripleSafe sump pump. The TripleSafe sump pump has a primary pump, a secondary pump, and a third battery operated backup pump to ensure that you get the peace of mind you deserve when it comes to your basement. Innovative Basement Systems is proud to serve our area because we make customer service our top priority. Let our team of friendly staff and experienced, trained technicians walk you through all your options and find a solution for all your foundation, basement, and crawl space problems that will work best for you! Call us today for a free estimate! Homeowner, Tom T., from Eden Prairie, MN, contacted TEAM Innovative to explore options for his bowing walls and damp basement. System design specialist, Nate Wendorf, visited Tom and inspected his basement. Nate made recommendations for PowerBraces (an adjustable steel I-beam system with two important benefits: stabilizing bowed or tilting walls, and (over time) forcing bowed or tilting wall sections back to their original position.) along with CleanSpace vapor barrier. The homeowner was impressed with the plan and signed off on the estimate and contract. After having a structural engineer come out to assess his sinking slab, homeowner from Eden Prairie, MN, reached out to the TEAM at Innovative for a second opinion. System design specialist, Dustin Sagehahl, met with the homeowners, did an inspection and provided them with his expert recommendation for PolyLevel foam injection with a little NexusPro joint sealant. The homeowner wanted to move forward with this recommendation - and we got the job on the books! The job was just completed two weeks ago (June 15, 2017) and we are happy to report the lift achieved was very nice! PolyLevel also has a FIVE year warranty and is hydrophobic, which makes it an excellet choice. Homeowner from Eden Prairie, MN, contacted the TEAM at Innovative to help her solve her wet basement problems. Her home was built in 1977 and she purchased it in 2004. Every spring since then, her basement gets saturated with water. She had pulled up the carpet, threw away the pad and removed all the ruined sheetrock. System design specialist, Pete Salazar, met with the homeowner and inspected the basement. His recommendations were for a water drainage system and a new sump pump. Homeowner was in agreement and the job was scheduled! Since installation of WaterGuard and her TripleSafe sump pump the basement has been dry! What an improvement, she'd wished she'd called sooner! Homeowner from Eden Prairie, MN, emailed the basement experts at Innovative Basement Systems regarding both vertical and horizontal cracks & bowing on her basement wall. The house was built in 1978 and sits on clay. She hasn't had any water problems, but is interested in an estimate for repair. After receiving THREE estimates from THREE different companies, the work was scheduled with the TEAM at Innovative! System design specialist, Dustin Sagedahl, offered her CarbonArmor as an alternative to bracing and she really appreciated that. CarbonArmor is an Innovative product development that was undertaken by aerospace engineers and the U.S. Dept. of Defense and is now being applied to the age-old problem of cracked and bowing foundation walls. 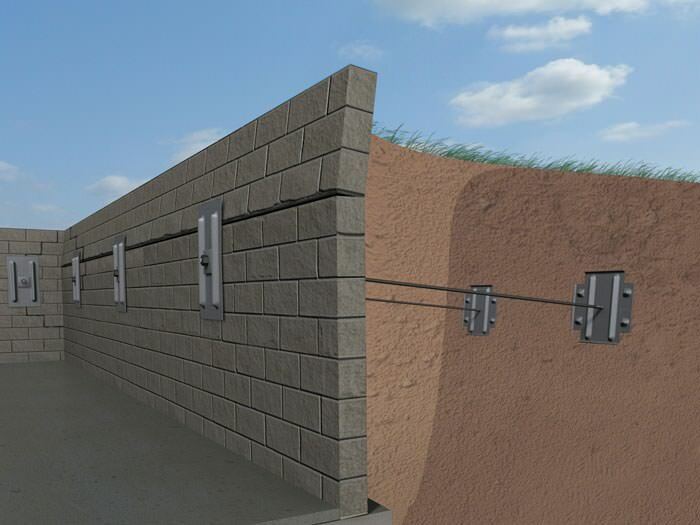 The CarbonArmor Wall Reinforcing System, available from Foundation Supportworks, utilizes the same technology used to support bridges, skyscrapers and bomb shelters to stabilize building foundations that have sustained damage such as cracks and bowing. Homeowners in Eden Prairie, MN were experiencing foundation wall issues and crawlspace issues. After contacting Innovative, the team installed PowerBraces to stabilize the home and a CleanSpace to isolate the home from the earth. With the combination of these systems, the home is now more energy efficient and the homeowners will be enjoying lower heating and cooling bills. Need concrete leveled on patio. We are looking into a dehumidifier for our basement. Do you offer and install? How do they compare to the ones purchased in stores? Also, I noticed you do radon testing as well. What is included in that and cost? One wall of our basement (in the laundry room) leaks when there is a ton of run. I assume there might be mold behind the sheetrock that we need to address, and also sealing the foundation itself. The last two winters my drain field for my sump pump froze. I would like to have a drain solution that will not require me to do emergency procedures each winter. Getting water leaking into the basement. Hello, Looking to get a quote on uneven concrete slab pathway. It has a slant towards the garage and it looks like part of the concrete connecting the driveway and garage are also sinking.